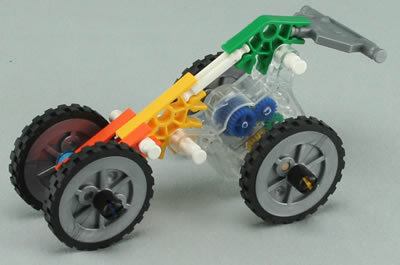 The KNEX Spring motor is a well-designed pull-back-and-let-go motor. 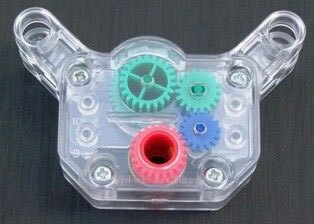 It is enclosed in a transparent case, so that you can see that pulling back winds up a spring, and letting go releases the spring, via a series of gear wheels. Spring motors are very good for models where you want a motor to turn a rod quite fast, but you dont need a lot of power, such as a racing car. To use a spring motor, first push a rod (quite hard) through the hole in the middle. There is an arrow on the case of the motor, which shows the direction of travel. 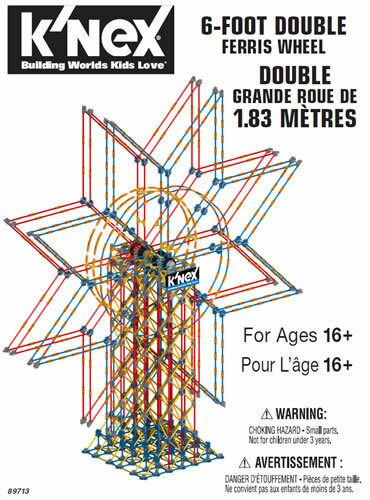 Turn the rod the opposite way to the arrow a number of times, and then let go to see the motor spin the rod. 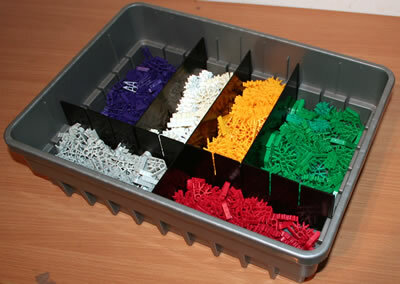 A number of K'NEX sets include a Spring motor, such as the 79818 K'NEX K-8 General construction set. 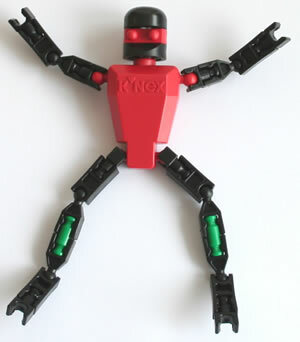 The Spring motor can also be bought as an individual item in our K'NEX shop. Connecting a spring motor to your model can be achieved by putting rods through the four holes on the edge of the case (see picture opposite for one way to do it). It may take a bit of practice before you become proficient at this. Now read Hint W6 if you want to make your spring motor turn wheels or connectors.